The factory will be built in the municipality of Skellefteå in the north of Sweden. The environmental permit, which covers both construction and operation, was granted by the Land and Environment Court in Umeå less than six months after the final application was submitted. The permit was issued for the first section of the factory that will be completed in 2020 and produce eight GWh cell capacity annually. The full factory will be ready in 2023 and produce at least 32 GWh annually when it reaches full-scale capacity. – Today marks another major milestone for Northvolt and the battery value chain that is starting to take shape in Europe. We will start construction in Skellefteå tomorrow, which means that we are well-positioned to keep our timeline, said Peter Carlsson, CEO and Co-Founder, Northvolt. The first phase of the construction, which primarily consists of ground preparations, is estimated to be completed during the second half of 2019 and is financed within the current funding. Northvolt has initiated a process to support the funding required for investments in buildings, materials and equipment that will take place in the next phase until the first part of the factory is completed in late 2020. The lithium-ion battery cell factory in Skellefteå will produce the world's greenest battery, with a minimal carbon footprint and the highest ambitions for recycling, to enable and accelerate the European transition to renewable energy. As a first step towards the establishment, Northvolt in April broke ground on the construction of Northvolt Labs located in Västerås outside of Stockholm. 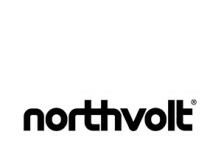 Northvolt Labs is a cutting edge scale-up line and research facility used to develop, test and industrialize lithium-ion battery cells before large-scale production. It will start production in 2019. Since launch in March 2017, Northvolt has entered into industrial partnerships with ABB, Nemaska Lithium, Scania, SECI, Siemens, Skellefteå Kraft and Vestas, as well as been selected by Epiroc as a supplier of battery systems for zero-emissions mining machines. Northvolt has also received support from the European Investment Bank and the Swedish Energy Agency.